Marie Magdelaine David, the 5th daughter and 14th child of Jean Pierre David and Marie Magdelaine Monmellian, was born on 16 January 1741 at Louisbourg and baptised the following day, 17 January 1741. Her godfather was Jacques Vincent, and her godmother Marie Parmantier. Fre Isidore Caulet, R:R:, presided at her baptism for the Father Superior. The witness attending the baptism was P. Jouin. 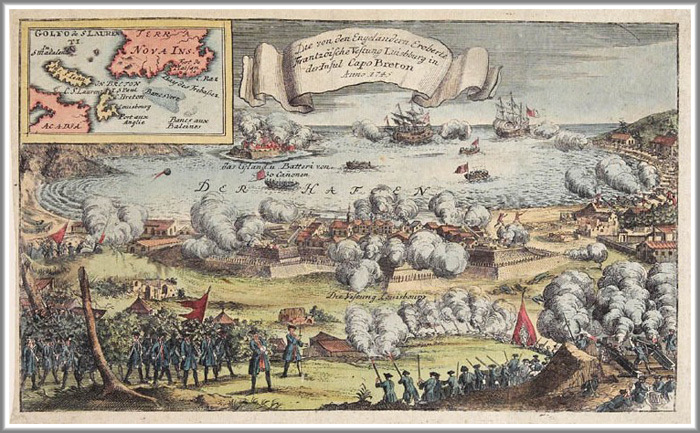 All that is known of Marie Magdelaine's brief 10 years of life at the Fortress of Louisbourg is recorded in 3 primary source records. Her name is listed in her baptism record in 1741 and her burial record in 1752. Her presence in Louisbourg is also directly listed in the Louisbourg 1749 - 1750 Census. The last of Marie Magdelaine's siblings to be born at Louisbourg was Jeanne Angelique born on 21 December 1743. The cause of Marie Magdelaine's death at such a young age is unknown. 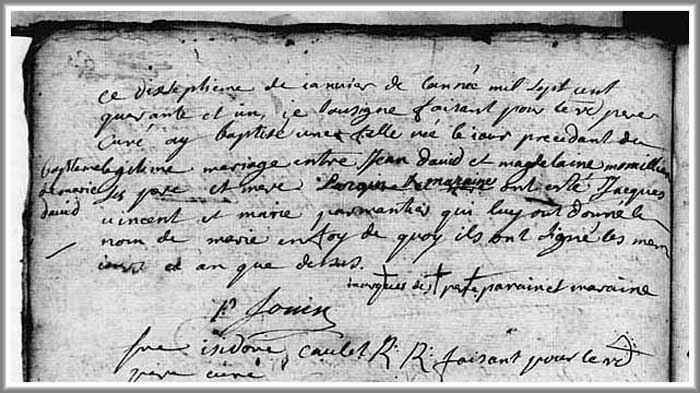 Ironically according to documented abstracts, her death followed exactly 12 years to the day of the death of her older brother Pierre at the young age of 11 years on 29 January 1730. Both were buried the following day of their deaths. Besides what is recorded here, no other life events recordings have yet been uncovered which tell of the infant and adolescent years of Marie Magdelaine David. 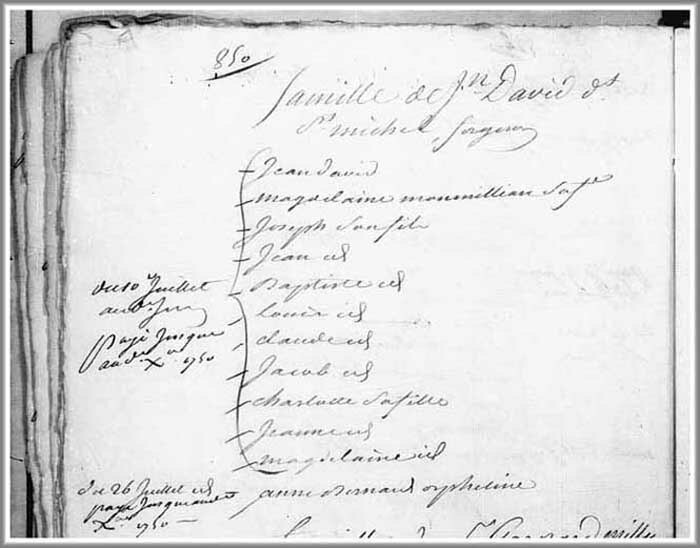 Marie Magdelaine's documented presence in Louisbourg is recorded in a Family Reconstitution File of her father, Jean Pierre David, which is archived at the Fortress of Louisbourg National Historic Site of Canada. This Family Reconstitution File was abstracted and compiled from original source documents archived at the Archives of Canadian and the Archives Nationale.